Unfortunately, there are contingencies that Freud could not have envisioned in 1919. It is one thing to consider the difficulties of providing a psychoanalytically-based form of psychotherapy for the economically disadvantaged strata of the population whose real encumbrances are a considerable problem and for whom the treatment would be conducted under conditions of minimal or no payment, but it is quite another to consider the problems raised by the spector of a healthcare system under which the conditions of regulation and surveillance are such that the basic principles of the psychotherapeutic relationship and intent are counteracted and undermined. A matter of pressing and deep concern to all professional workers in the area of psychotherapy—whether they be individual psychotherapists, psychoanalysts, group therapists or whatever—is the demand for regulation and intervention of third-party participation, whether in the form of insurance carriers—as is now often the case—or of government regulatory processes—as, for example, peer review programs that may well become an increasing part of psychiatric practice in the future. The demands placed on the psychotherapeutic relationship are specifically those of review of treatment and the inherent threat to confidentiality that it poses. The problems connected with peer review have been under scrutiny and debate for some years now. Committees of both the American Psychiatric Association and the American Psychoanalytic Association have been at considerable pains to develop approaches to this issue that would go at least part of the way toward protecting the rights of patients and preserving the therapeutic process in the face of demands for peer review. Both organizations have produced impressive manuals as guides to the peer review process. Needless to say, opinions vary widely as to the possibility or even advisability of this undertaking. Economic conditions, and, especially, the increased use of benefits, have brought insurers to the point of trying to diminish or eliminate payment. Peer review is an obvious mechanism to achieve this goal. In the best of all possible worlds, peer review might serve to guarantee that treatment is appropriate and properly conducted. But efforts to meet the needs of patients and simultaneously assure third parties that payment of benefits is appropriate have not always run a smooth course. From the side of the practitioner, concerns have arisen about the privacy and confidentiality of clinical material and about the effects on the treatment process itself. Opinions differ as to whether the process in a given case is helpful and facilitates the treatment or whether it is intrusive and either destroys or compromises the treatment. Compiling the reports is often burdensome and time-consuming. regarding certification and even appointment as a training analyst. The goals in all these contexts were far removed from the issues of cost containment and limitation of delivery of care. Service plans, utilization and review committees were set up to make certain that only necessary services were provided and excessively expensive services curtailed. The purview of such review committees has been extended to claims reviews, that is determining whether the services for which claims were submitted were, in fact, reasonable and justifiable. A process that was originally intended to improve the quality of medical care had become a tool for limiting the amount and expense of services rendered. Peer review had been transformed into cost containment. Additional problems are introduced by the availability of the report to the patient. The reporting analyst must be concerned about the effect on the patient of what is contained in the report. Such material may well serve as an inexact or premature interpretation, may carry implications or connotations that have not been adequately explored and processed in the analysis, may give rise to misunderstandings, etc. mes, bewildering. Laws and regulations vary from area to area and from insurer to insurer. Who does the reviewing is an issue. The manual prepared by the American Psychiatric Association for CHAMPUS specifies that a psychoanalytic case is to be reviewed by three psychiatrists and one psychoanalyst. There is no specification of how the credentials for determining who is to be recognized as a psychoanalyst are to be established. Other arrangements take little in the way of such precautions, so the possibility exists that review of an analytic case can be undertaken by persons with little or no understanding of psychoanalytic therapy. The psychoanalyst is torn between his primary responsibility to protect his patient’s treatment and best interests and the economic realities that dictate participation in this process, which often makes the treatment itself financially possible. To what extent can the analyst step out of his therapeutic role and become the patient’s advocate? To what extent can confidentiality be conserved? Can confidentiality be waived and the analytic situation preserved? What about children? Do they have a right to confidentiality? Can that right be waived? The inherent necessity for confidentiality in the therapeutic relationship is implicit in all of the approaches being discussed here. A number of authors have addressed themselves to this difficulty. A particularly strong statement comes from Langs (1975). He writes: ‘The introduction of a third party on any level into the patient-therapist relationship is a deviation in the ground rules that has major consequences for the patient and the therapy’ (p.185). This regulatory impact on the psychotherapy tends inexorably in the direction of increasing the scope of third-party intrusion. The escalation of insurance costs and claims imposes considerable fiscal constraints, which force carriers to tighten regulations and criteria for acknowledging claims. It must be recognized that these infringements of confidentiality amount to primary alterations in the structure of the therapeutic relationship. As such, they constitute serious deviations in technique which can only undermine the effectiveness of psychotherapy. The question that all this raises in my mind is whether the psychotherapeutic contract and its associated relationship—which lie at the heart of any psychotherapeutic effort, no matter what the modality of treatment involved—can be tolerated by such an overriding regulatory framework. We may be faced with the possibility that the psychotherapeutic effort can only be carried on in a context of completely private and non-insurance-supported collaboration of doctor and patient. Tensions already exist in the area of private insurance support for psychotherapy and/or psychoanalysis. Demands of insurance carriers for patient information readily infringe on the area of confidentiality and the privileged area of therapist-patient communication. The specter of government regulation and intervention in this field, along with the accessibility of computerized records, offers a grim vision of a process of federal or quasi-federal regulation within which any form of authentic psychotherapy may become an impossibility. The danger is of a politicization of the psychotherapeutic process—an inherent and intolerable contradiction. The priorities in the emerging framework of healthcare delivery are clearly on the side of fiscal policy and politics rather than in the direction of preservation of the essentials of the psychotherapeutic relationship and an effort in making that preserve of authentic freedom and autonomy more readily available to broader reaches of the population. The effects of current efforts in this area seem to be bent on restricting the availability of the psychotherapeutic approach to smaller and smaller groups of more privileged and affluent patients. Thus psychiatric intervention is being pressured in the direction of active disposition and manipulation, which is totally foreign to the psychoanalytic attitude and, ultimately, an irreconcilable violation of psychoanalytic principles. We can only hope that in the future the riches that are contained in the psychoanalytic and psychodynamic perspective will not come to symbolize a relatively unavailable resource for the affluent few but that they might become a source of help and enrichment for the more impoverished many. These complex factors are further complicated by the issue of training for non-medical psychoanalysts. Without reviewing the history of this problem, it can be said that it has been a focus of concern and debate in the American Psychoanalytic Association for many years. The underlying issues have to do with the relationship of organized psychoanalysis to organized psychiatry and medicine. To the extent that official psychoanalytic endorsement is given to the training for purposes of sanctioned practice of psychologists and other non-medical candidates, the ties with institutional psychiatry and medicine are weakened as Sabshin has pointed out. The situation within the American Association was brought about in 1986 by the decision to implement the Gaskill proposal to extend full training to non-medical applicants. The decision was precipitated by the lawsuit brought by several psychologists against the American Association charging that psychologists were excluded from full training on grounds of restraint of trade. The suit was settled out of court on amicable grounds and opened training to psychologists, social workers, nurses and other qualified persons. The trend was reinforced by the 1989 decision of the International Psychoanalytic Association (IPA) to affiliate institutes directly, bypassing the American Association. Thus both within and outside the American Association, increasing numbers of non-medical candidates will be trained. Parallel movements are taking place in other countries, particularly in South America (Cooper 1990; Wallerstein and Weinshel 1989). The implications of these changes are immense. Institutes under the aegis of the IPA will tend to follow European trends in the practice of analysis—trends often quite different from those we have known previously. The IPA is far more avowedly Kleinian and non-medical in orientation than the American Association. Training centers that have had theoretical and professional differences with the American Association will now find legitimacy under the IPA umbrella. Moreover, training standards based on European educational models tend to be looser, more flexible in specifying training requirements, scrutiny of training analysts is more open and less demanding, and so on. The IPA has a constant problem in trying to raise the level of training in the face of national and local trends. The question of whether the IPA will have any more success in regulating training and practice norms in the United States than in other countries remains to be seen. In any case, the American Association will have to compete for candidates with institutes whose programs have been regarded as sub-standard. The pressures to mitigate lengthy and demanding standards will be considerable (Cooper 1990). One of the trends that is already in evidence is the move to a three-times-weekly schedule as normative, despite the best efforts of the American Association to maintain a four-times-weekly standard (Richards 1990). The news from the medical side is not encouraging either. The role and centrality of psychoanalysts and psychoanalytic thinking in psychiatric residencies is falling dramatically. The level of qualified medical applicants for psychoanalytic training is diminishing. The overburdening of residency curricula by neuropsychiatric, behavioral and psychopharmacological teaching is gradually moving the psychoanalytic and psychodynamic components to the periphery (Reiser 1989). Training in psychotherapy in many, if not most, programs is being reduced radically in favor of behavioral, psychopharmacological and short-term approaches (Wallerstein 1991). The details of this trend are contained in the report of a joint task force of the Association for Academic Psychiatry and the American Association of Directors of Psychiatric Residency Training (Mohl et al. 1990). Further data from an extensive survey of residency programs reflect the demise of psychotherapeutic training -less than 40 per cent of residency programs require any patients to be seen more than once a week (Altshuler 1990). The endpoint of this trend is the movement to drop the psychotherapy requirement or to make it elective. One adventurous neuroscientist even suggested that there was no reason to have a psychiatry department separate from neurology (Wallerstein 1991). One unfortunate effect of these trends is that the role of psychoanalysis and its relation to medical science is being redefined in the process. The professional identity of the medical psychoanalyst is under siege as official psychoanalysis drifts from its medical moorings and moves closer to psychology (Arlow and Brenner 1988). Less and less can psychoanalysis count itself as a medical sub-speciality leading to problems in the professionalization of non-medical analysts—what is to be the basis of their professional identity? Will psychoanalysis be able to stand on its own as a separate profession? Will ties to disparate disciplines dilute the sense of analytic identity? (Michels 1988; Wallerstein and Weinshel 1989). The gradual ‘demedicalization’ of American psychoanalysis will lead to a decline in the number of medical applicants for training (50% according to recent figures), the attractiveness of the profession to the best minds among the ranks of psychiatric residents will be compromised, the prestige of the profession will be increasingly eroded and psychoanalysts will find themselves in much the same position as psychologists and social workers are now—valued contributors but not fit for leadership positions (Cooper 1990). Resources will dry up, fewer higher academic positions will be filled by analysts and recruitment of residents for analytic training will be even further diminished. This has been happening at a time when psychiatry itself is undergoing a process of ‘remedicalization’, precipitated by developments in neurobiology, psychopharmacology, pressures for cost effectiveness, new criteria for insurance reimbursement and the blurring of boundaries in the mental health field (Reiser 1989). The gain is in the improved treatment of more severe disorders, the psychoses, major affective disorders, panic disorders, substance abuse and even severe obsessive compulsive disorders. The loss, however, is in the retrenchment from the treatment of the more subtle, less biologically-determined neuroses and character disorders. It seems inevitable that under such social and economic pressures some compromises will have to be made. If the conclusion can be drawn that the most adequate model for psychotherapeutic interventions is the psychoanalytic one, appropriately adapted and modified to meet a wide range of forms of psychopathology and in a variety of socio-economic contexts, we must take care that the vitality of such an alloy (Freud’s alloy of gold and copper) is preserved. From one point of view, psychoanalytic theorists must take the social, economic and political factors into account in shaping their clinical approach and methodology. From another point of view, therapists may have to enter the political arena in some manner to secure the right to treatment for all patients. The risk in all this is that authentic and effective psychoanalytic psychotherapy may become a resource of the few. And the many, contrary to Freud’s supposition, will once again be deprived of effective treatment. Adequate solutions to these problems are hard to come by, but certain things seem clear. Psychoanalysts are being called on to commit themselves with greater conviction and courage to the preservation of psychoanalysis. Psychoanalysis is a delicate and fragile organism that requires many buffers and careful attention, not only for it to flourish but even for it to exist. We cannot expect the social environment around us to act to preserve it. It is up to us to do that. To my mind, preservation of psychoanalysis requires continuing efforts at all levels to work for the maintenance of psychoanalytic ideals in both training and practice. Despite pressures to diminish their role and importance, psychoanalysts must make the effort to retain their role as teachers of psychodynamic principles and the basic skills of psychotherapy. They must make every effort to educate, inform and protect the rights and privileges of patients to legitimate psychological understanding and care. And, as a field of scientific clinical application, we must bend our efforts to a more profound understanding of the therapeutic process so that in some measure, with some assurance of bringing the resources of psychoanalytic understanding closer to the needs of patients, Freud’s vision can be fulfilled. Altshuler, K.Z. (1990) ‘Whatever happened to intensive psychotherapy?’ American Journal of Psychiatry, 147,428-430. Arlow, J.A. and Brenner, C. (1988) ‘The future of psychoanalysis’. Psychoanalytic Quarterly, 57, 1-14.
Cooper, A.M. (1990) ‘The future of psychoanalysis: challenges and opportunities’. Psychoanalytic Quarterly, 59,177-196. Freud, S. (1919) Lines of advance in psychoanalytic therapy. London: Hogarth. Michels, R. (1988) ‘The future of psychoanalysis’. Psychoanalytic Quarterly, 57,167-185. Mohl, P.C., Lomas, J., Tasman, A., Chan, C., Sledge, W., Summergrad, P. and Notman, M. (1990) ‘Psychotherapy training for the psychiatrist of the future’. Americann Journal of Psychiatry, 147,428-430. Mumford, E., Schlesinger, A.J., Glass, G.V., Patrick C. and Cuerdon, T. (1984) ‘A new look at evidence about reduced cost of medical utilization following mental health treatment’. American Journal of Psychiatry, 141,1145-1158. Namnum, A. (1985) ‘The integrative role of psychoanalysis in the psychiatric hospital’. Bulletin of the Menninger Clinic, 49, 403-408. Reiser, M.P. (1988) ‘Are psychiatric educators “losing the mind”?’ American Journal of Psychiatry, 145,148-153. Reiser, M.F. (1989) ‘The future of psychoanalysis in academic psychiatry: Plain talk’. Psychoanalytic Quarterly, 58, 185-209. Richards, A.D. (1990) ‘The future of psychoanalysis: The past, present, and future of psychoanalytic theory’. Psychoanalytic Quarterly, 59, 347-369. Ross, J.L. (1985) ‘Principles of psychoanalytic hospital treatment’. Bulletin of the Menninger Clinic, 49,409-416. Wallerstein, R.S. 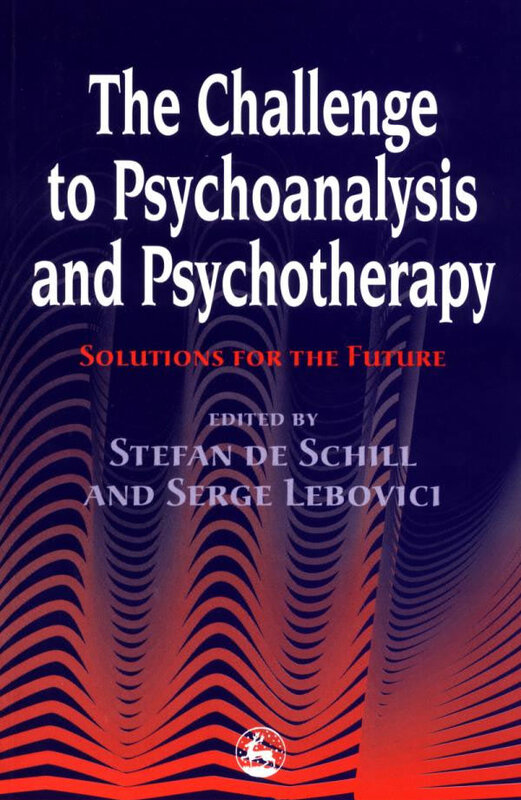 (1991) ‘The future of psychotherapy’. Bulletin of the Menninger Clinic, 55, 421-443. Wallerstein, R.S. and Weinshel, E.M. (1989) ‘The future of psychoanalysis’. Psychoanalytic Quarterly, 58,341-373. Zee, H.J. (1985) ‘Reflections on the psychoanalytic hospital in the 1980s’. Bulletin of the Menninger Clinic, 49,417-431.